It was the autumn of 1978 and before the commencement of the 3rd Plenary Session of 11th CPC Central Committee, which is seen as the beginning of China’s economic reform. The Third National Urban Work Conference was held in Beijing. The Conference aimed to find out solutions to a series of urban problems, one of which was how to fund city construction. Deng Xiaoping, the China’s reformist, asked and proposed housing commercialization during the Conference. 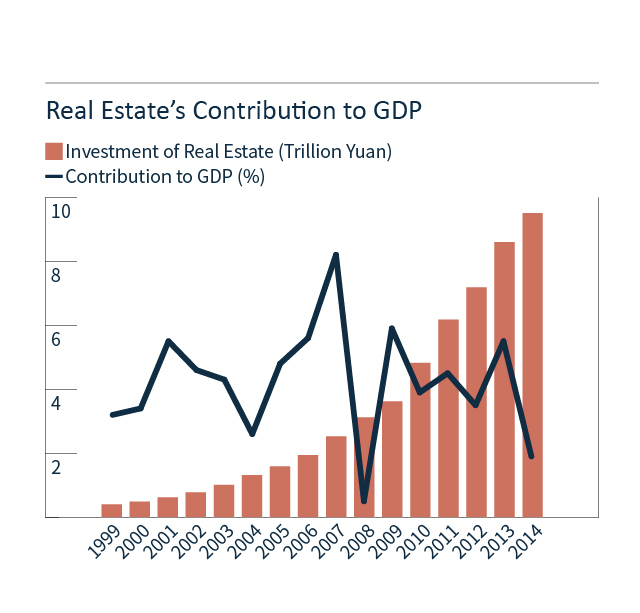 This was also the beginning of China’s housing reform. The reform brought to China a gigantic property market with an end of welfare apartment provision by working units. The market helped mitigate the housing burden of the government and become the burden of every ordinary urban citizen. Historically, property prices of these cities went up and down at similar pace. Among cities, regional disparity is significant, with expensive houses in cities in the eastern region and vice versa. Like many other megacities in the world, Beijing is an unaffordable place for residing. Celeste Zhang, a Beijing drifter born in 1990s, had never thought of having her own apartment in the capital because of the skyrocketing price of property. Settling down in a city was easier for her parents back in 1980s. Zhang’s parents were working in an aluminum factory in Qinhuangdao, a coastal city in Hebei province and about 290 km away from Beijing. They were allocated in an apartment by their employer or work unit after they married each other. This was a socialist way of welfare housing that staff of a work unit were accommodated together in the “family courtyard” provided and maintained by the employer. Zhang was raised in the courtyard with children whose parents are also staff in the same work unit, leading a rather collective life as their parents did. At that time, the rent for the welfare housing was less than ¥1 per square meter. While the rent collected could hardly cover the building and maintenance cost of the courtyard. Welfare housing system was a heavy burden for the work units and the government with the increasing urban population. Qinhuangdao was once a military base to defend the eastern end of the China Great Wall. In late 20th century, the coastal prefecture-level city was selected to be one of the China’s state-level economic and technological development zones. It was also one of the many cities in the nation where gigantic boom of urban dweller and alarming housing problems took place. After Deng Xiaoping proposed the privatization of housing construction in 1978, the housing reform was carried out gradually. Back in 1980, Deng suggested, “Urban residents should be allowed to purchase houses, or build their own house”. That was followed by several official documents published during 1980s to 1990s. One milestone was marked in 1994, during which the State Council of PRC brought to public a document called the Decision on Deepening the Urban Housing Reform, which initiated the market mechanism of the building, allocation, maintenance and management of houses. The welfare housing system came to an end in 1998. Capitalization process of housing allocation also symbolized the establishment of a real estate market and related industries. In the new millennium, some residents started to move out of the courtyard where Zhang spent her childhood and resided in some newly constructed commercial residential buildings. Facing boosting policies in 2015, the tier-1 cities rebound (grids in red) more fastly than other cities (grids remains blue in colour). Most cities rebound rather slowly in the propery market slump 2014. In 2003, the State Council of PRC recognized real estate market as one of the main driving force of the country’s economic growth, so as the local governments. The overheated market made lives unbearable for many urban dwellers and increased the level of inequality. Coping with the soaring property price, the State Council, in 2005, addressed a series of problems in the sector, including a large amount of non-residential property investment and imbalanced housing supply. Seven ministries released the Suggestions on Making Efforts to Stabilize Housing Price, which was also called “Guo Ba Tiao”, with measures including increasing mortgage interest rate and tax rate of reselling to regulate the overheated market. Another package of regulating policies, “Guo Liu Tiao” were delivered in 2006 to strengthen the adjustment. This was followed by a series of regulations being implemented on the sector between 2005 and 2013, except in 2008, during which the nation was affected by global financial crisis and the real estate market slumped. A turning point came in the year of 2014, during which all the data and statistics showed that the market had been slowing down. From land sale to house price and also profit of real estate enterprises, all the records were going down in 2014. According to NBS, the sales prices of newly constructed commercial residential buildings in 70 medium and large-sized cities started to slump. The profit of the real estate industry also slowed down with the excessive housing capacity started to grow at the same time. Policies started to shift from regulating to stimulating. Several stimulus exerted in 2015, namely “330” and “930” new policies. A series of interest rate cuts were also seen as a boosting measures to the sector. The market did rebound according to the houses selling price, however, only in the tier-1 and a few tier-2 cities. Polarization of housing market between different tiers of cities was another challenge that the nation has to due with. The elevating property inventory started to alarm the Central government, leading to several addresses in 2015 on the goal of property inventory clearing. The goal was also mentioned in the country’s Central Economic Work Conference as one of the five main tasks on economy in 2016. House price-to-income ratio, is a way to test if, on average, the housing is affordable for people in a city – how many years will it take for a family to purchase a flat of 80 square meters, in this case, without other spending. The number you get in the above calculator, also known as house price-to-income ratio, is a way to test if, on average, the housing is affordable for people in a city – how many years will it take for a family to purchase a flat of 80 square meters, in this case, without other spending. Statistics by a real estate analysis company in China, E-House, shows that income per capita increased in 2015 while not making buying an apartment any easier. The company collected data from 35 major cities in China by the end of 2015. And of them, 30 cities were with a house price-to-income ratio deviating from the affordable range of between 6 and 7. Internationally, the suitable range is set between 3 and 6. Shenzhen, as the Silicon Valley of China, had experienced a boom in property market in 2015. The city recorded a high price-to-income ratio of 27.7 by the end of the year, compared to 21.7 in 2014.